The restaurant runs a set menu: €15,50 for fish, chips, and mushy peas, €11,50 for battered sausage and beans, €11 for a traditional bacon sandwich and chips. Whilst undoubtedly dearer than the average British chippy (£2.50 cheesy chips anyone? ), the food doesn’t feel overpriced – it’s homemade, uses quality ingredients, and is a real mid-week treat. 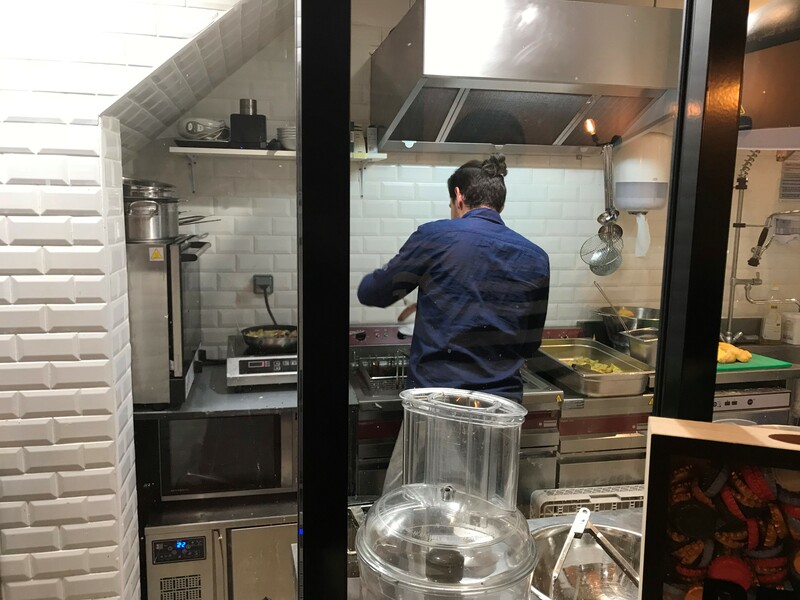 The Pebbles Team ordered the Fish & Chips combo and the Battered Sausage, which comes loaded with baked beans, whilst the chips are served wrapped in newspaper for a dash of nostalgia. Generous portions and crispy batter paired with fresh flaky fish makes for a delicious combination which is technically impressive but manages to retain its identity as hearty comfort food. For a spin on the classic dish, try the Guinness sauce but be careful – it has a kick! As we got well and truly stuck in to our dinner, we discussed the nautical-themed décor, the chalkboard bathroom, and Rita. Who was she? Her name is scrawled on the walls, she’s the namesake for dishes on the menu (Rita’s fish), and she even has a craft beer in her name. 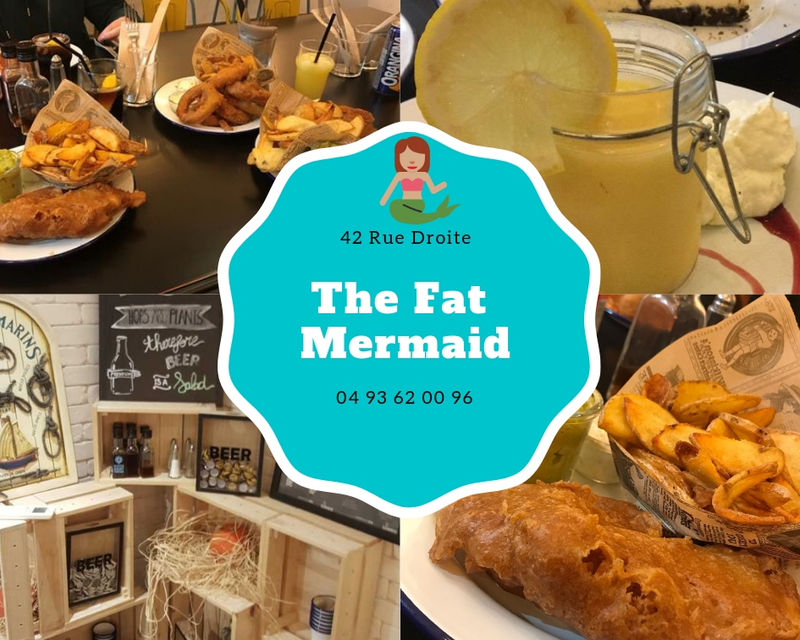 Curiosity got the better of us and we eventually asked Victoria to enlighten us, who laughingly informed us that Rita is The Fat Mermaid – named after Victoria’s British aunt. Also on the menu is a selection of homemade desserts (we can vouch for the Oreo cheesecake), and a carefully curated list of both French and Irish craft beers and ciders. For a taste of British tradition, a cosy atmosphere, and a warm welcome from the delightful Victoria and Jeremy, we can think of few better places to spend an evening. 5 stars.